The importance of using video in your online course and even in your hybrid and supplemental courses cannot be overstated. We all know that today’s learners are multimodal and multinodal, they digest their information in different ways through different mechanisms. One type of video in your course that is ofttimes overlooked is a “Welcome” or “Introduction to the Course” video. Students in an online environment feel more connected when they know who is facilitating the learning process. 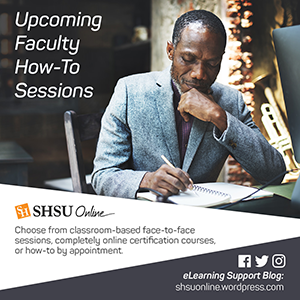 Putting a face to course materials and discussion posts can help the learner feel closer to the professor even though the real distance my be great. We can have you appear almost anywhere from Madrid for a Spanish Course to the World Wide Web for a certification course! Let our video team work with you to design the video that bests suits your needs. 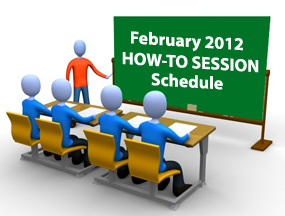 To schedule time to record a welcome video or any video please contact Charles Henson @ 936.294.2430 or cmh025@shsu.edu.